Do I Need A Critical Illness Insurance Policy? While you don’t think one of the above illnesses can happen to you, think again. Certainly, you know someone who experienced cancer, heart disease, or a stroke (maybe all 3). What did the person’s family go through? What did they pay? Were their lives changed financially because of these unexpected illnesses? Moreover, it is estimated that medical expenses are responsible for 60% of the bankruptcies in the United States. “Well, these people didn’t have health insurance,” you might think. Think again. Almost 80% of those who went bankrupt due to medical expense had health insurance. There are still deductibles, copays, and coinsurance to pay. 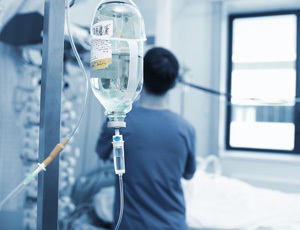 Moreover, you probably aren’t working if you are diagnosed with a critical illness. Unless you have a disability income insurance policy, the utility bill, the mortgage, your car payment are unlikely being paid. It is all a downward spiral. That’s why critical illness insurance came about. As mentioned, a critical illness insurance policy will pay you a tax-free, monetary benefit if you were to be diagnosed by one of the above illnesses. Benefit payouts range from $5,000 to even up to $100,000 depending on the carrier. Underwriting usually consists of a few health questions, really centered around whether or not you have experienced any critical illnesses. Who Would Be A Good Fit For Critical Illness Insurance? Anyone. However, those with a family history of cancer, heart disease, Alzheimer’s, etc. should pay extra attention to these policies as more and more studies indicate the heredity and familial connection. Moreover, people working in high-stressed positions and careers should consider a critical illness policy. Finally, those who smoke should consider a critical illness policy as well. It is important to balance your budget and the needs of your family and situation for this important coverage. We at My Family Life Insurance can help you determine the right critical illness policy for you and your family.